Carrie Moyer’s seductively colorful and complex works involve unusual methods of painting, including pouring, rolling, mopping, and stippling, and incorporate non-traditional and distinctly feminine materials such as glitter. 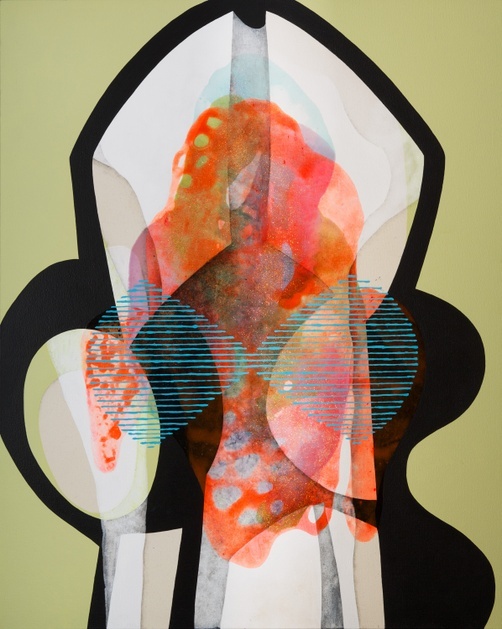 Influenced by her experiences as a feminist and LGBTQ activist, Carrie Moyer reassesses traditional methods in order to develop a pictorial language of biomorphic forms, texture, and abstraction that embraces concepts of history, feminism, and political activism. By rejecting hierarchies and creating associations across time, media, and ideologies, she breaks down the barriers of what is considered to be a particularly masculine medium.